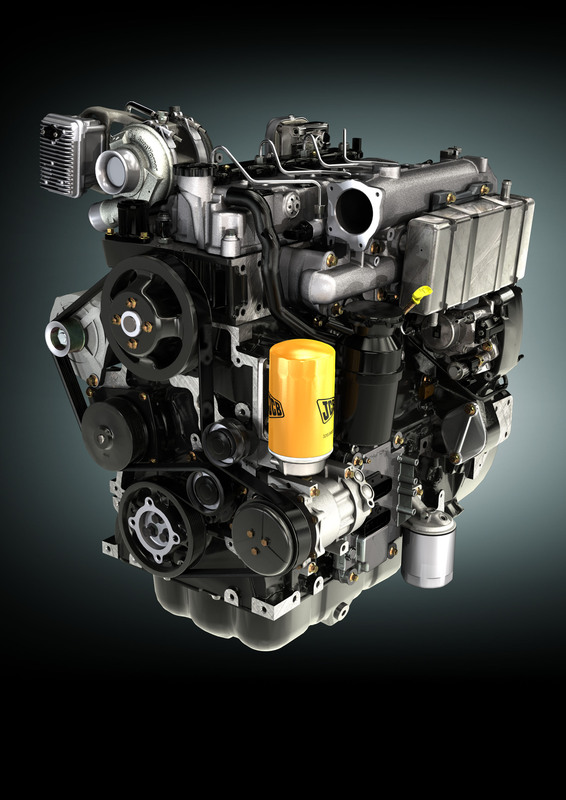 JCB today announced its new ‘Ecomax T4’ 4.4 litre engine – the first production engine to feature Ricardo’s new advanced low particulate Twin Vortex Combustion System technology. This technology enables the elimination of exhaust aftertreatment and provides a cost-effective, durable and high fuel economy solution for mid-range off-highway engine customers. The new Ricardo Twin Vortex Combustion System – on which a range of international patents are pending – incorporates a unique re-entrant combustion bowl design and injector nozzle geometry which are combined with cooled EGR, high air-fuel ratio and injector pressures, and closed-loop control strategies using electrical actuators for the exhaust and air handling systems – as used in the Ecomax engine. The Twin Vortex Combustion System is capable of meeting Tier 4 interim/Stage 3B legislation without the need for any form of exhaust aftertreatment. 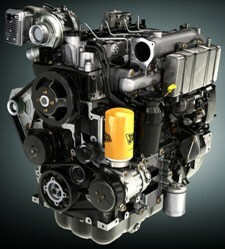 There are consequent benefits in terms of reduced fuel consumption, lower total cost of ownership, improved reliability and greater package flexibility through the elimination of potentially bulky and expensive aftertreatment, which give this system clear advantages for mid-range off-highway equipment manufacturers and engine customers. While Ricardo’s Twin Vortex Combustion System provides a fuel-efficient and cost-effective solution for off-highway Tier 4/Stage 3B interim regulations that come into force in 2012, it also provides an attractive development pathway for the Tier 4 final regulations that will apply from 2014. To achieve this in its current form it would require the addition of simple NOx control measures such as an SCR system, or with further development to achieve the low NOx requirements without aftertreatment.